Nandita was educated in Lucknow, India and graduated as an electronics engineer. After enjoying a successful career at Proctor & Gamble, she decided to become a full time artist about ten years ago. In 2014 she graduated at the top of her year with a first class BA Honours in Fine Art from Goldsmiths College of Art, London, via LASALLE College of the Arts in Singapore. 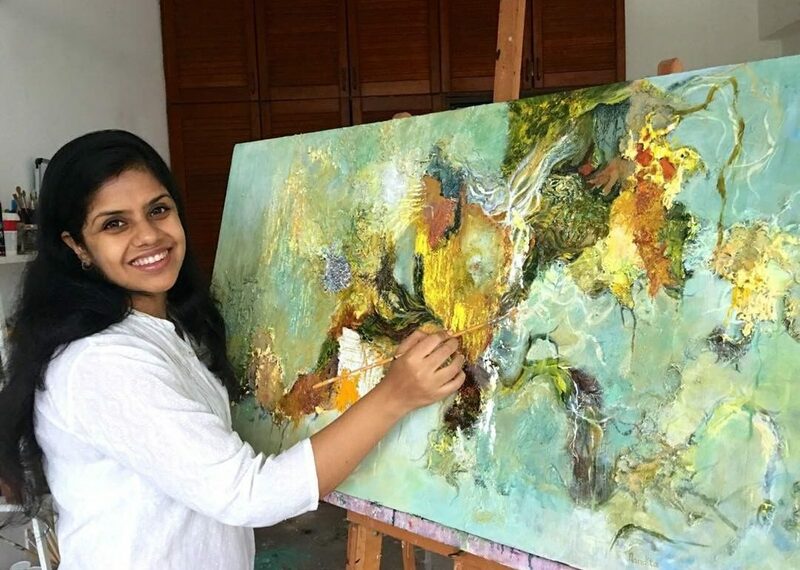 Nandita’s work encompasses sculpture, installation and paintings, exploring the recurring themes of nature, materiality, spirituality and connection within an urban environment. She has shown her work in Australia, Spain and at Sweden’s biennale. She has also had several high profile collaborations and solo shows in Singapore.